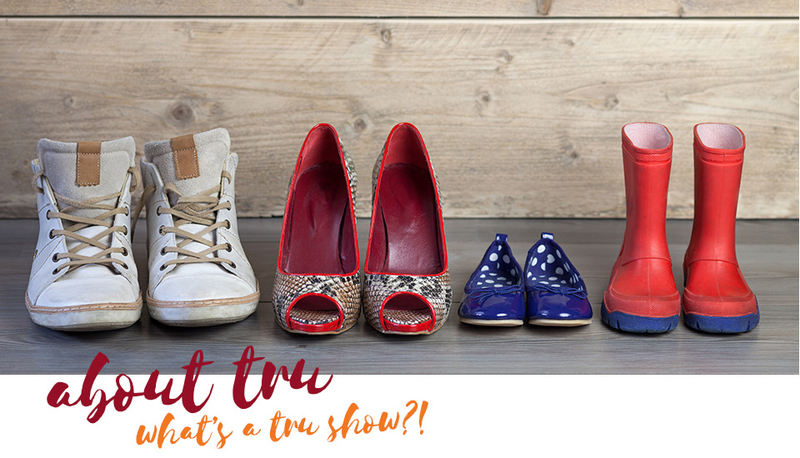 TRU Show, Inc. is the footwear and accessory trade show created by and for sales professionals in the industry. The name stands for Traveling Reps United. The shows bring big national wholesalers to local retailers in a relaxed, comfortable, convenient setting. You'll find a wide variety of lines and styles, featuring top brands of women's, men's and children's footwear lines, as well as related accessories such as handbags and hosiery. Complimentary hot lunch is included for both buyers and exhibitors alike. After all, it's no fun shopping on an empty stomach. The first TRU Show was held in March 2006 in San Francisco. The concept has grown rapidly since then and regularly features over 300 lines of footwear and accessories . Both retailers and wholesalers enjoy the relaxed pace and fun atmosphere at TRU Shows. The uniquely casual format has proven quite helpful in establishing relationships and conducting business on the spot. Take a look at our Event Calendar to register for an upcoming show. Or join our email list to stay up to date about future TRU Show events.